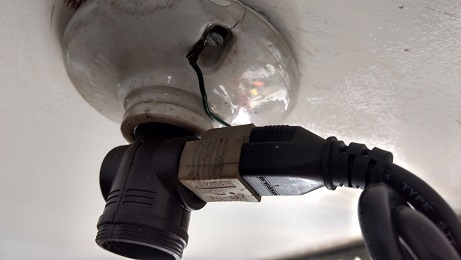 On my garage ceiling there is a light fixture which has been converted via the adapters pictured. It is controlled by a switch which I don't like because I never want to turn off the garage door opener. A voltage tester shows the screws are hot when the switch is on. It was like this when I moved in. So my first question is -- is this safe/proper? I'd like to convert this fixture to a real receptacle using the cover plate pictured. I'd like the top receptacle to be 'always on' for the garage door opener. I'd still like the bottom receptacle to be controlled by the switch so I can plug in a nearby hanging light. I just wanted to get an idea of how complicated this will be and whether it's a smart and safe upgrade to make. Any feedback would be appreciated! It looks like you have a standard box and not a light box. So you don't need the light box receptacle cover. 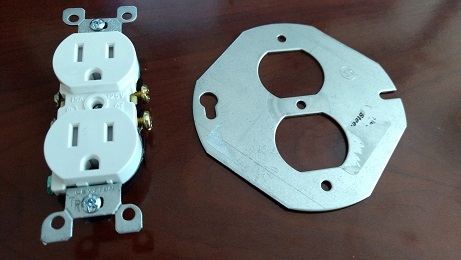 In theory, you should be able to add the receptacle without issue and just use a standard outlet cover. You can split the hot side by breaking out the tab. Assuming the nutted blacks run to the switch, you can add another hot and wire it to the top "always-on" outlet, and let the switch power the bottom. The only downside I see to this is they're grounding to the box. Without knowing if the box is grounded, you might not be getting any ground at all if they just screwed it to a wood joist. If the box is grounded, what you'll need is a grounding clip and then run a wire from the clip to the outlet. Here's what looks like is going on here. You have two Romex going into the box. One is from supply and one is feeding downstream outlets or switches. White is neutral. Black is always-hot. And then one of the cables also has a red, which is switched-hot. So, just as Machavity says, get a receptacle, break off the tab on the "hot" side, pigtail the neutral to one of the screws on the neutral side (since it's already pigtailed), pigtail the blacks to one of the hot screws (since you have to), and connect the red to the other hot screw. Easy peasy, assuming I guessed correctly about the wires. What it looks like in the pictures is Red is Hot from the Black Leads (switched circuit), White is your neutral. Turn off your circuit breaker - make absolutely sure you have no power (if you do not have a voltmeter) - install a light in the socket and turn the light switch on and off several times to make sure you have NO POWER. 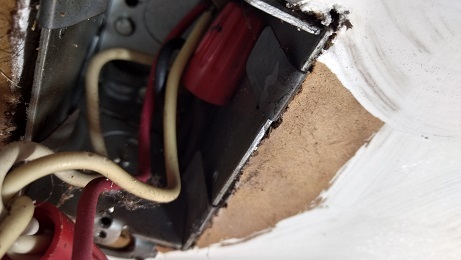 The Light socket can be removed with its white and red connection leads. 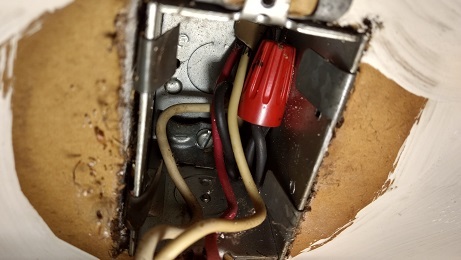 The larger spade side of your new receptacle - should be silver screws Neutral Line Connection this is where your white wire from the service connection will connect to. The Brass side is your hot side and should be where the black wire is connected to. Now for the ground lead as has been mentioned - it could be your box has a ground wire and it could be not. 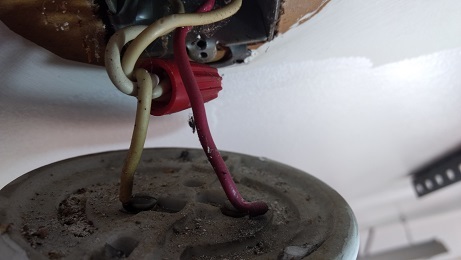 You can connect a ground from your receptacle to the metal receptacle box - that does not mean that it functions - but that is how it would normally be connected if the box is grounded, if the box is not grounded then a ground wire should be present in the romex cable a bare copper line. Not the answer you're looking for? Browse other questions tagged electrical wiring lighting receptacle or ask your own question. How do I add an independently controlled light fixture to an exiting three way circuit? Is it possible to convert a switched light into an unswitched outlet? 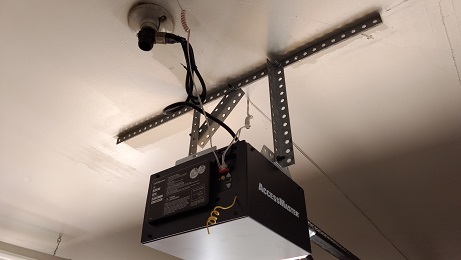 Can I power an outdoor security light from a non-EV garage receptacle? How to unswitch a junction box so it is always on?